August 31st, Last day for Bonus Bucks and for Colorful Season and Watercolor Pencils. Be sure to use Hostess Code ZDB27H2U when ordering. Holiday Catalog starts on September 5th. Another Sneak Peak. You will make 6 Cards, 5 Tags and the Halloween bag is a gift from me to Camp participants. We will highlighting 2 kits from the Holiday catalog. 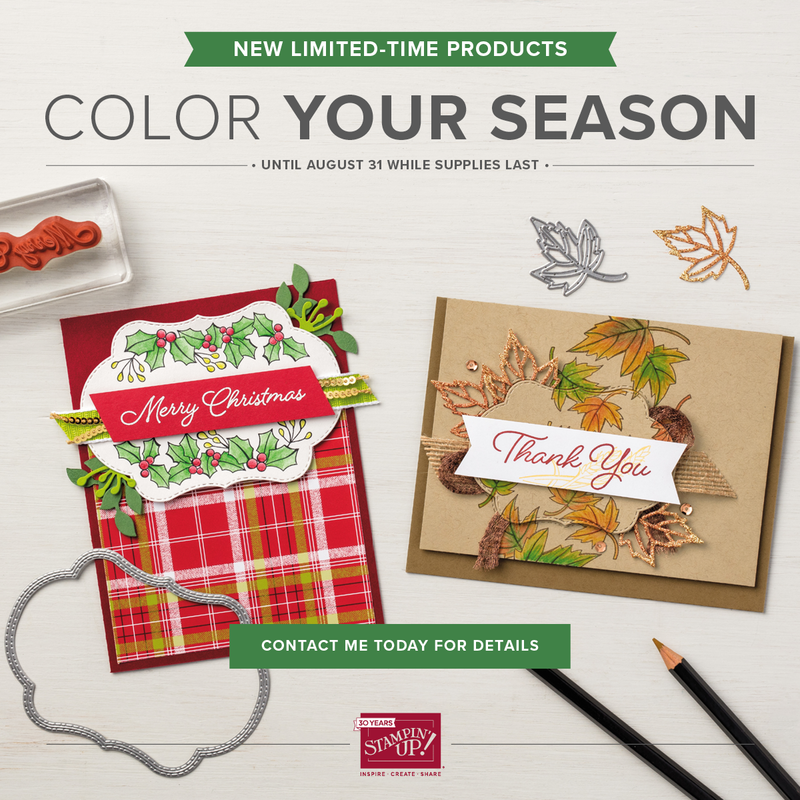 Timeless Tidings Project kit and Sincerely Santa tag kit. You will need to RSVP with payment to me by September 17th to hold your spot, this will also be the last day to cancel and get a refund. Space is limited to 15 places. You can purchase just the kits, but no stamping will be done. You can either pick up the kit or have it mailed at an addition al cost. I will supply the materials for each project and you will need to bring your camp kits with your own adhesive of choice, scissor, dimensionals, glue dots and a bone folder. If you need a kit for the camp let me know and I will have one made up for you and email you the cost. I will also have Mono tape refills available to purchase if you need one at the camp. $5.00 Stamp Camp discount if you place an order at the camp. These projects are more beautiful in person and hope to see you soon. Stamp Camp participants will get the first chance to sign up for October Stamp Camp and see the lovely projects we will be making in October. New Stamp Pads? Check out this video. Great tips and information. 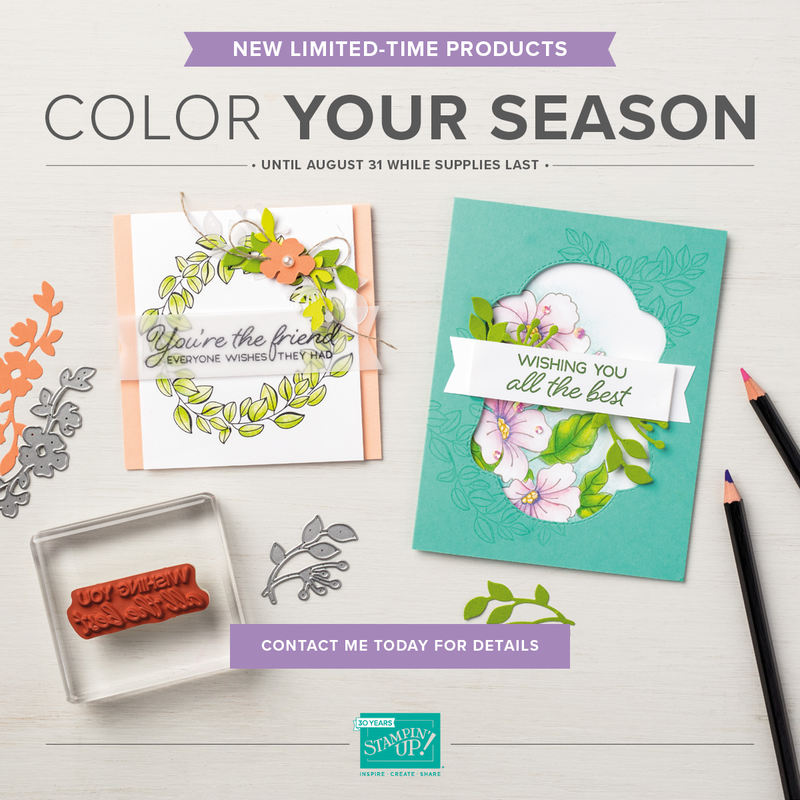 Color your Season will be done August 31st or while supplies last. Coupon Code will be done August 31st also. Get those orders in before the end of August to get your coupon code to be used in September. 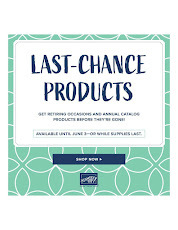 For each $50.00 you order before S/H and tax and get a $5.00 coupon to be used towards any order in September. Please use Host Code BZV666SK when ordering. Let me know if I can help you at all. Check out this new Pick Tool. It's the BOMB. We were able to try this at my last Hostess Meeting and found we loved it for Rhinestones and Pearls. I was able to try it with sequins and it worked great. Available starting September 5th from the New Stampin' Up! Holiday Catalog. This is such an awesome set. Imagine the possibilities! 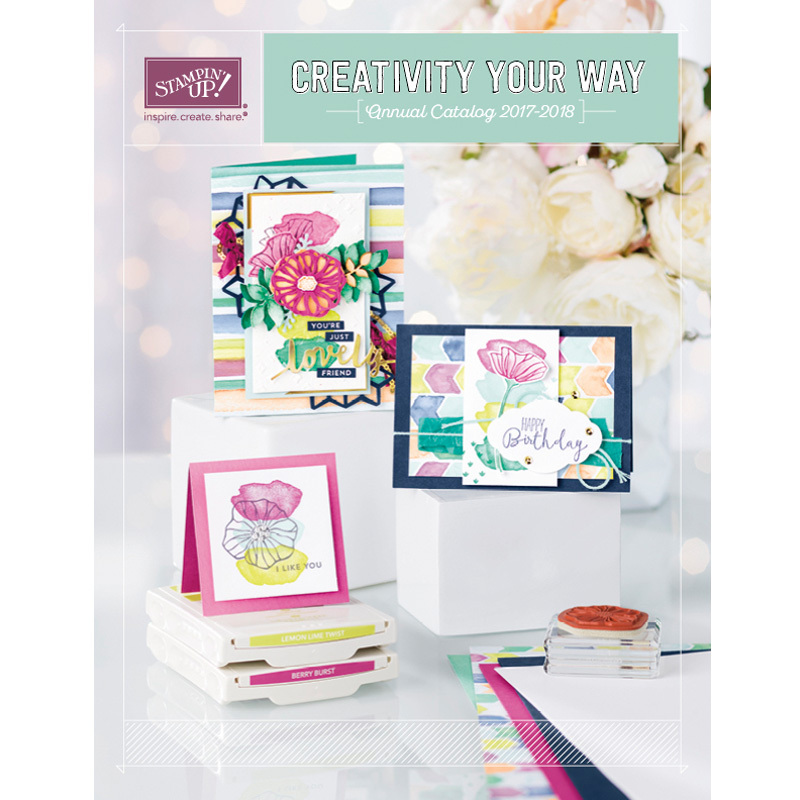 Available September 5th from the Stampin' Up! Holiday Catalog. Let me know if you are interested. 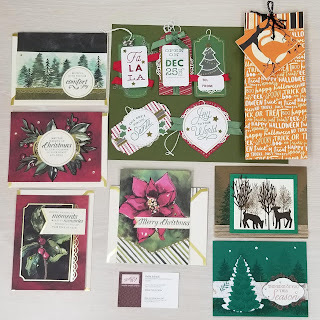 My favorite Holiday Stamp bundle. 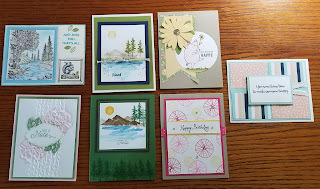 Hint, We will be making a card at the Holiday Stamp Camp on September 22nd with this set. Card Share form our Hostess Club meeting. These Ladies are so talented! Check out the Holiday Catalog DSP Paper! 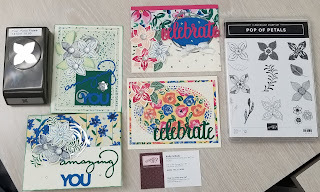 Pop Of Petals, Stampin' Up! Samples. To hot to play outside today so to the STAMP Room I go! Do you like the projects I made today? Hostess Set. Do you know what it's called? I had so much fun today making some Thank You cards for our church STAMP group. Do you like them? 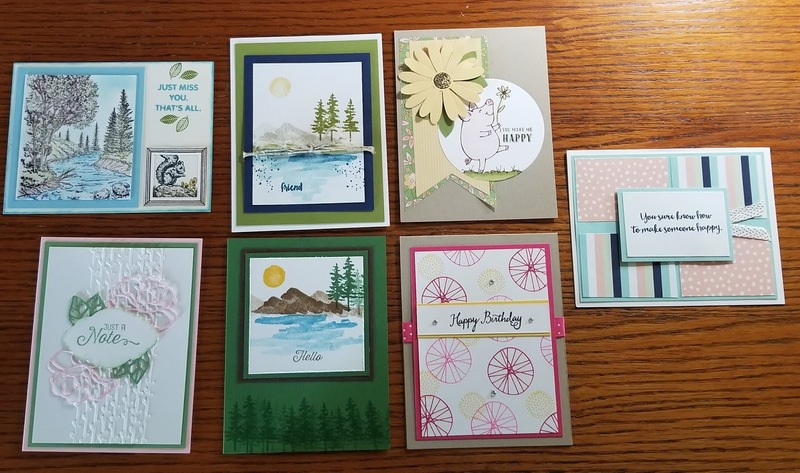 Had to add some Wink of Stella to the cards and loved using my Blends to color. These cards are beautiful and you can begin to order the Kit on September 1st! More details to come. 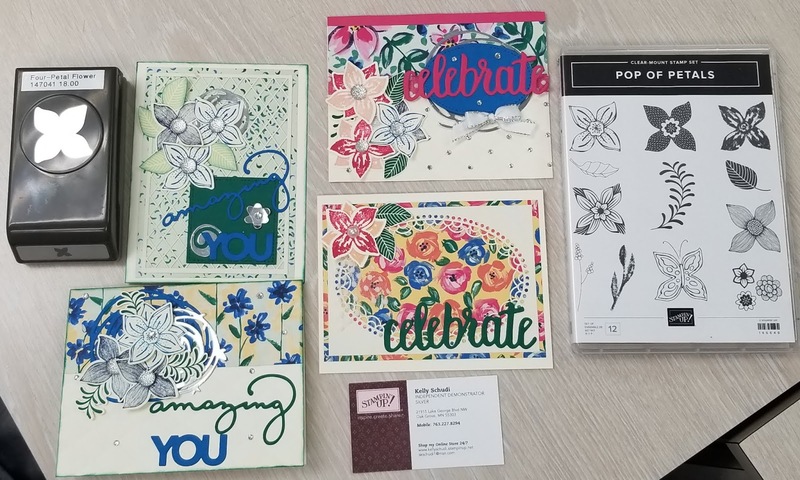 Stampin Up has issued a challenge to us Demonstrators for the month of August. If we Sell 10 ink pads we can earn one free individually. If all Demonstrators in our region sell an average of 4 ink pads we can earn a second one free. So for myself and my Fellow demonstrators, I am offering a Special. If you order at least $50.00 (less s/h and tax) during the Month of August, I will give you a Ink Pad of your choice FREE. 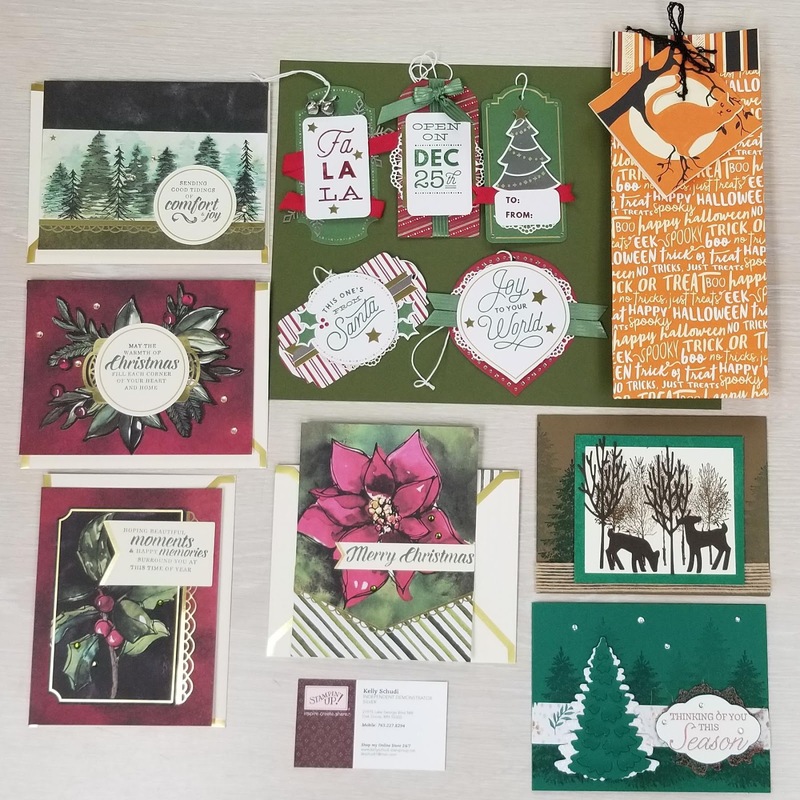 The challenge does not include StazOn Ink Pad, Tuxedo Black Momento, Uninked Stampin Craft Pad or the VersaMark pad so unfortunately, the pad you get free would not be any of those either. Don't forget, during August you also get a 5.00 coupon code to use in the month of September for each 50.00 you order (lesss/h and tax). Double the reason to order! For those of you that still have punch cards with me, Sorry but this would not qualify for a punch. All orders must come through me so that I can add your Free Stamp pad onto it CC or Debit Card only. Must order by August 31st to get the specials. 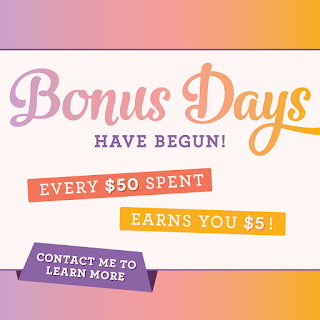 YEAH FOR BONUS DAYS! 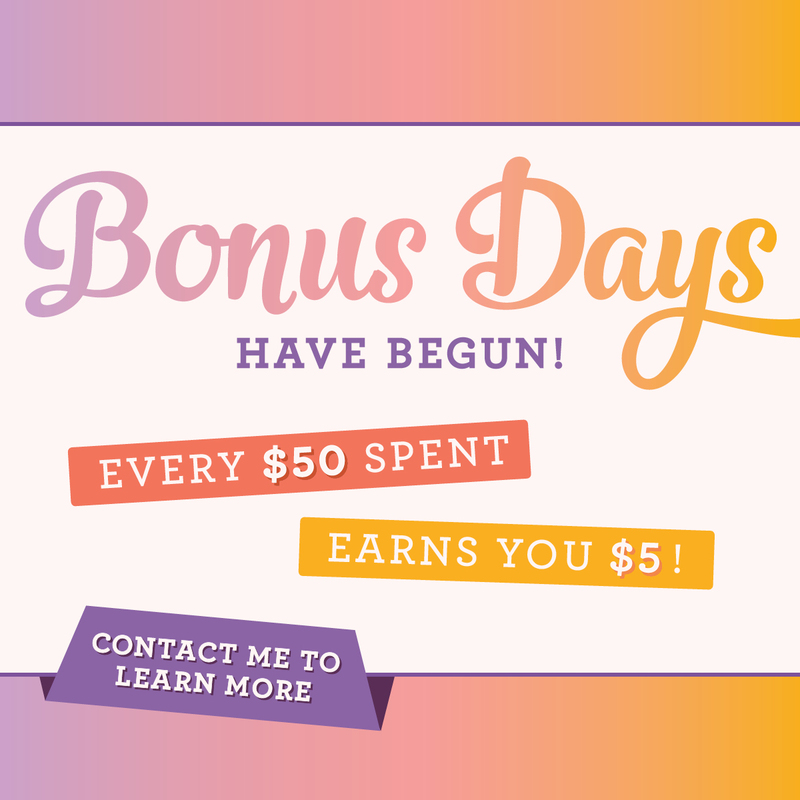 Click on shop now and start earning your bonus to spend in September! Please use Hostess code BZV666SK.